In this series we will explore the perception of our own anatomy through Yin Yoga. Each workshop starts with a brief close-up look at a particular area of the body – the relationship between the bones, muscles and connective tissue – with the use of pictures and a life-size skeleton. 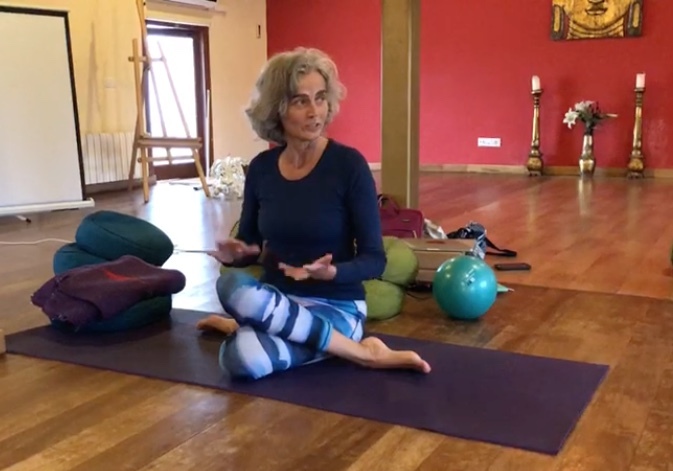 Then we ease into a nurturing yin yoga sequence in which you will be guided to sense these very structures in your own body and relax into them. Yin Yoga is an excellent practice to help us reach into ourselves, we get lots of time to feel, to adjust, to be with the sensations that arise. It is time itself that allows deep tissue to release and give the joints more breathing space. In the gentle less-is-more approach of yin we look for pleasure rather than pain and within it we find a wonderful opportunity to heal.